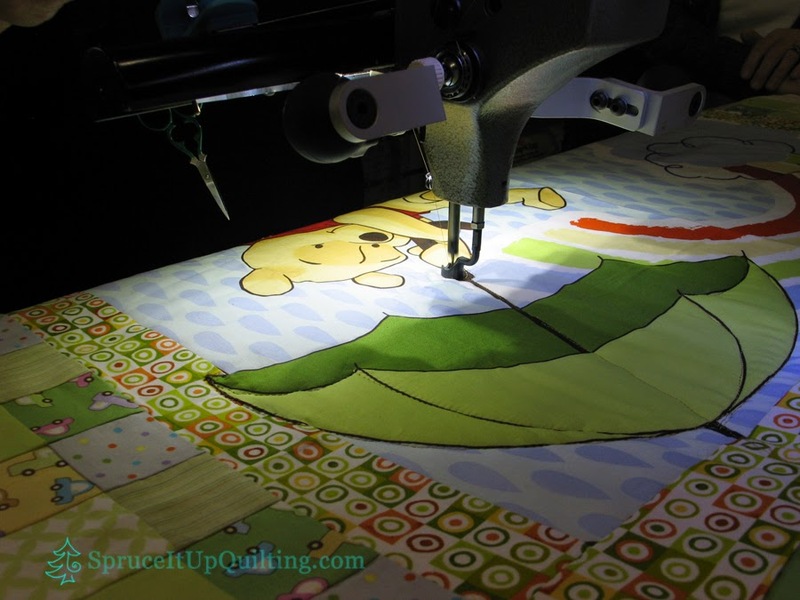 Spruce It Up Quilting: 2 FOR 1 quilting day! Odette returned on Monday to work on Lolah... she was very ambitious bringing 2 quilts!! Her first one is called a lasagna quilt. 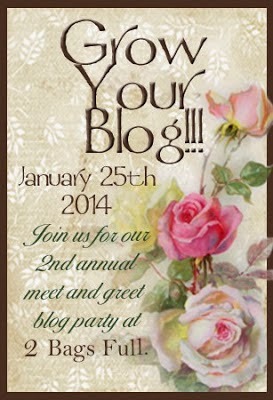 Have you heard of this? I hadn't and neither had Holly. BTW: Say hello to Holly, a new part-time employee who started on Monday. 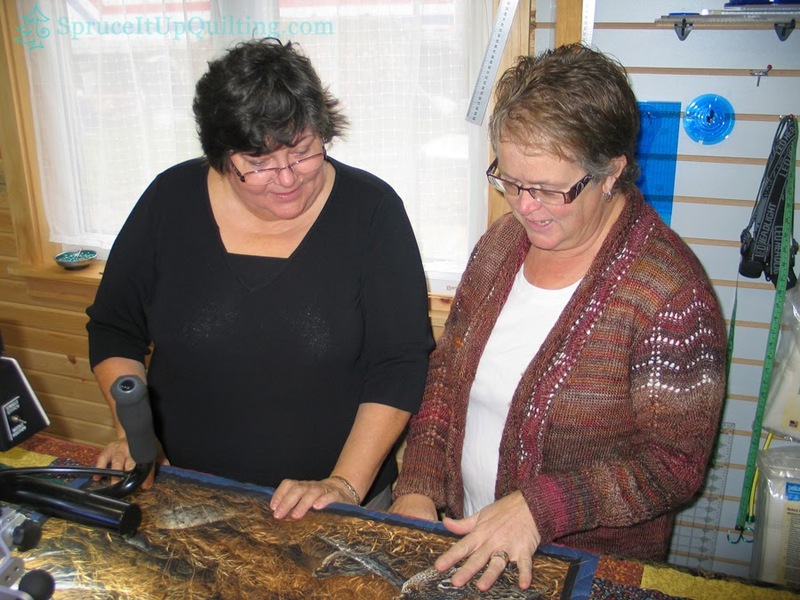 She too, is anxious to try out Lolah so this was a great learning experience for her watching and counseling Odette on quilting designs. 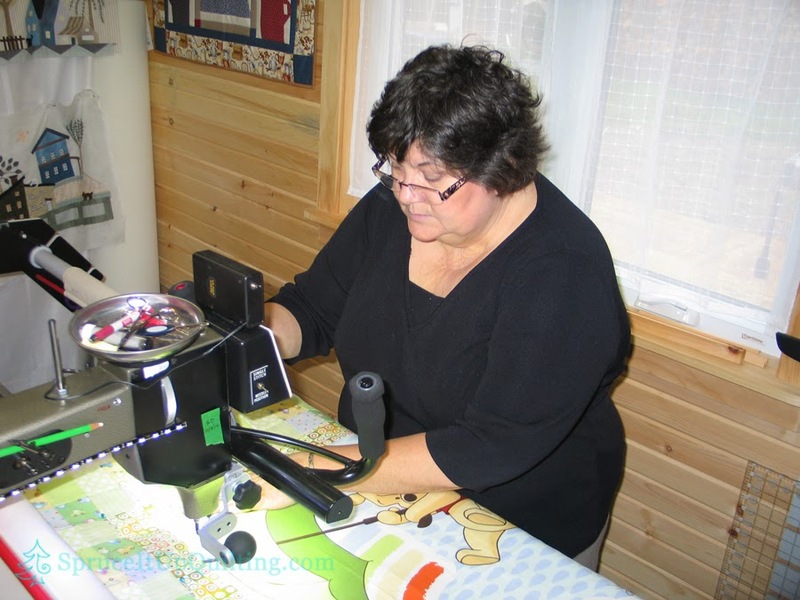 Holly is an expert piecer as well as a dedicated and experienced hand quilter. 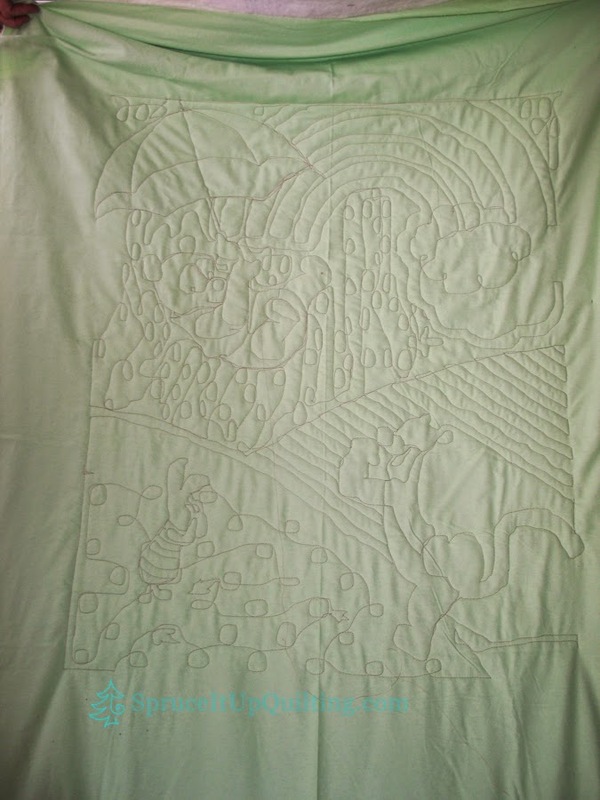 Odette chose Chinese Lanterns as a pantograph to quilt in the wide borders and chose to freehand the center panel. Did I mention that Odette is an artist also? This came in very handy and in no time, she was using only one hand to guide Lolah. 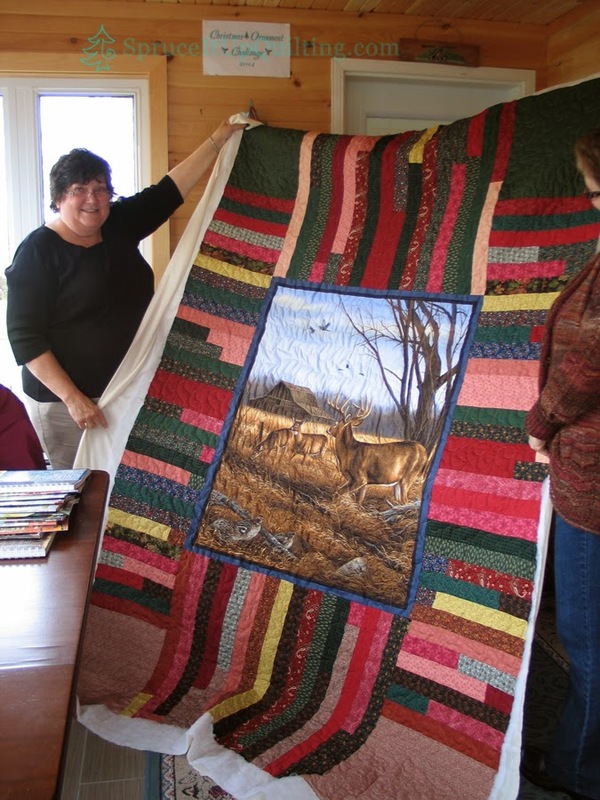 This is a camp quilt for her husband. 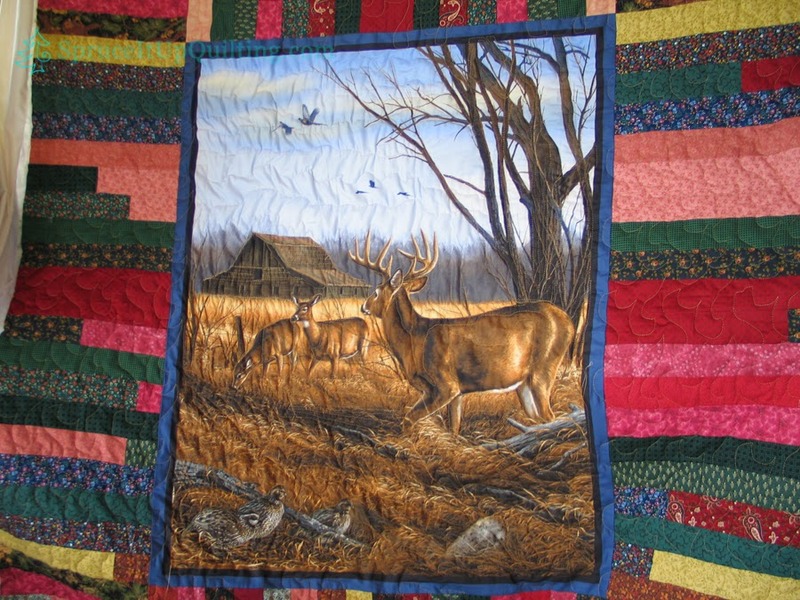 I love the look of this quilt and I'm sure her husband will be quite pleased to wrap himself up in it after a good day's hunt! Details of the deer and the hunting lodge on the back... didn't I say she's an artist? 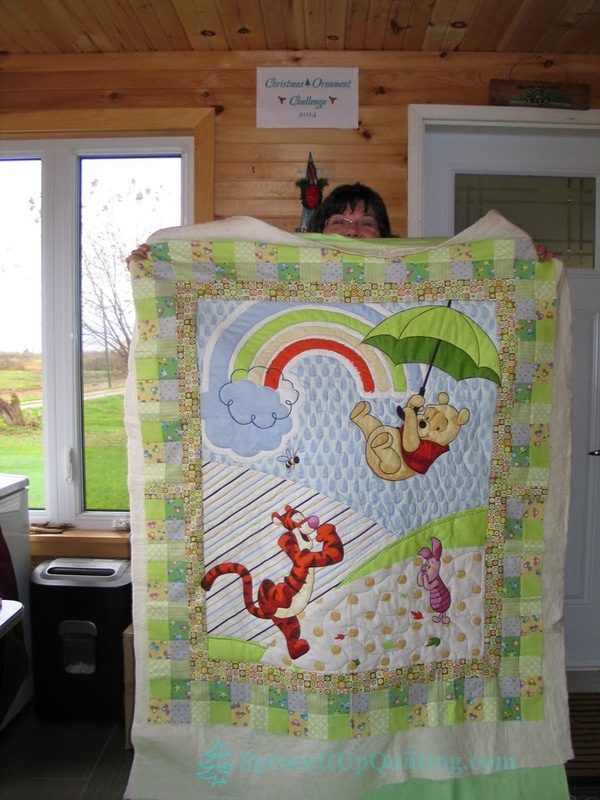 With an hour or so left before she had to leave to attend a meeting, we loaded her Winnie the Pooh baby quilt top. The red snappers really make this job easy and quick! 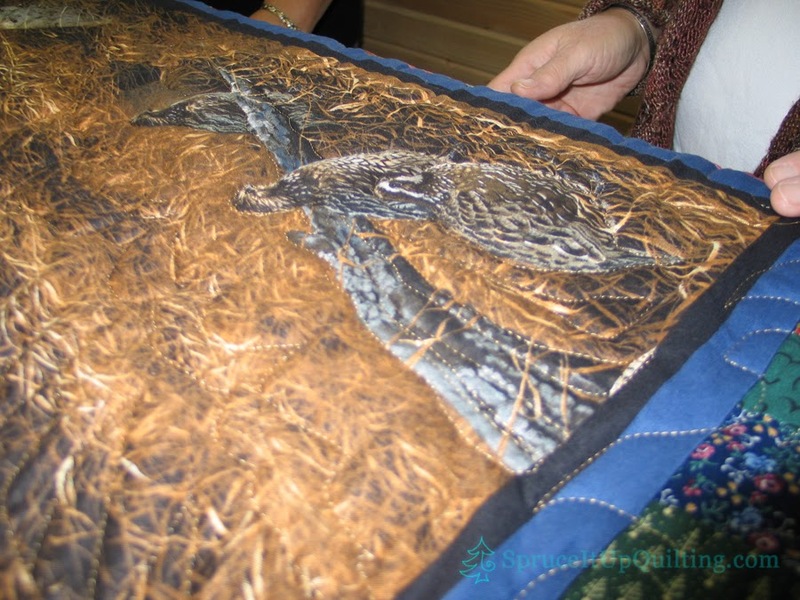 Here she decided to quilt the center panel on Lolah and finish the borders at home. In no time she had this one quilted. 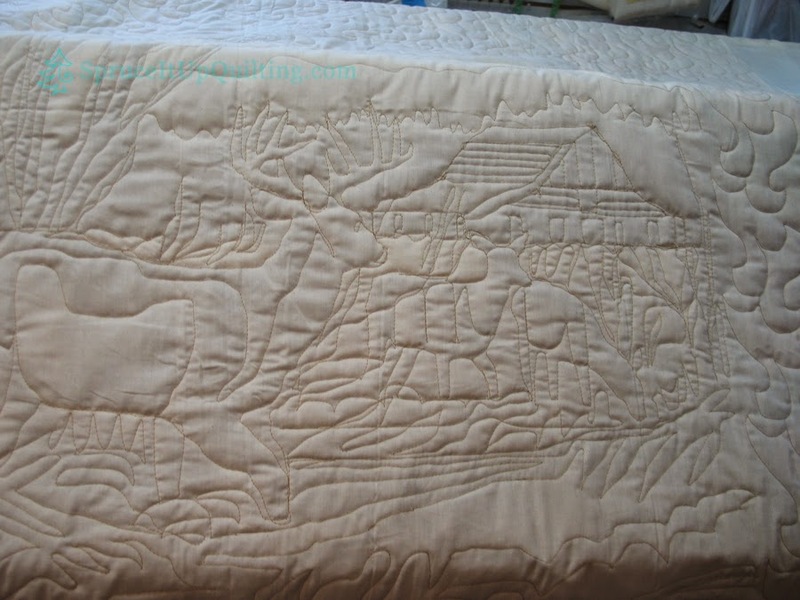 I love her artistic flare in this quilt! Isn't this darling? I can't wait to see it bound and ready for gifting! It is so sweet! Bravo Odette! Please make sure you bring these in so we can see them complete with binding!